TestGenie is a low-cost boundary-scan solution for those companies that have a genuine requirement for JTAG testing, but have difficulty absorbing the tool costs or assigning the resources required to implement the test technology into their development or production processes. TestGenie allows customers to use full-featured versions of Corelis ScanExpress products at a fraction of the cost. Once you’ve selected boundary-scan as a practical solution, the second biggest decision is whether you want to do the test development yourself or have a third party do it. The decision should not be considered lightly as there are advantages and disadvantages to each. Corelis understands that the traditional model of owning boundary-scan tools outright and having a resident expert to develop test procedures is not practical for a large number of companies. 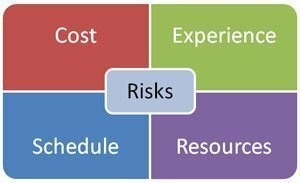 Those experienced in boundary-scan test know the true cost of testing does not lie in the cost of the automated test tools themselves, but rather the investment that must be made in the engineering hours to accommodate this testing capability successfully. How much time does it take to learn the tools? How much time does it take to become proficient in test procedure development? How does this time affect your project budget and schedule? Cost – One thing that may not be clear is that although boundary-scan tools seem expensive, the tool cost is a small fraction of the overall cost of testing. The engineering costs required to integrate boundary-scan represent the larger bulk of the overall cost. Experience – Similar to ICT, JTAG requires well-trained and highly experienced personnel to do well. There is no substitute for experience. Lack of experience directly corresponds to longer schedules, more required resources, and higher costs as a result. Schedule – You are likely looking into JTAG to help solve your problems, not create new ones. To get the maximum benefit in terms of schedule and reduced time to market, boundary-scan needs to be integrated as early as possible in the design and development process. Waiting to deploy boundary-scan during test is a sure way to lengthen the schedule. Resources – Unless you are in a 100% slack environment, there is an opportunity cost for choosing to deploy boundary-scan yourself. Do you have the manpower to take on the job and does it represent the best use of their time? Even with other low cost solutions, the engineering costs and overall risks associated with boundary-scan still remain, and are often even more prevalent due to less tool automation. Only Corelis’ TestGenie provides you with fully automated versions of Corelis’ ScanExpress execution tools, specifically designed to run with your unit under test (UUT). Let TestGenie do the work for you! TestGenie is a product-oriented solution. It is targeted at organizations producing a small number of different PCBs per year allowing them to implement boundary-scan testing at a significantly lower price point realizing the product value much sooner in the life cycle. 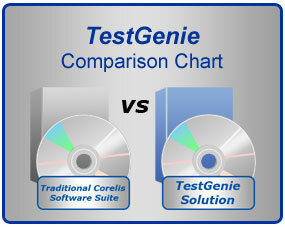 TestGenie bundles both product and service into a turn-key test solution. TestGenie is primarily designed for companies that have limited experience, resources, and budget, or are looking to begin using boundary-scan for the first time. 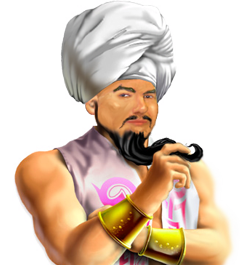 Are there any limitations to the TestGenie solution? The software is limited to executing only the bundled test procedure for a specific PCB revision (i.e. UUT). What licensing schemes are available with TestGenie? The software is available through a node-locked FlexNet license key. There is one license to allow execution of the software application and additional licenses to identify each test procedure that the system is allowed to execute. Is a network license available with TestGenie? Do I have to buy a new TestGenie seat for an updated revision of the same PCB? Can I buy multiple run-time stations for a single test procedure? Yes, a discount will be applied to each additional software seat that test procedure development is not required. What are the advantages of purchasing a TestGenie solution? What are the benefits of purchasing a TestGenie solution? Read how TestGenie facilitates boundary-scan test with minimal effort and helps mid-size organizations to meet increasing product demand while minimizing the impact on schedule and resources.